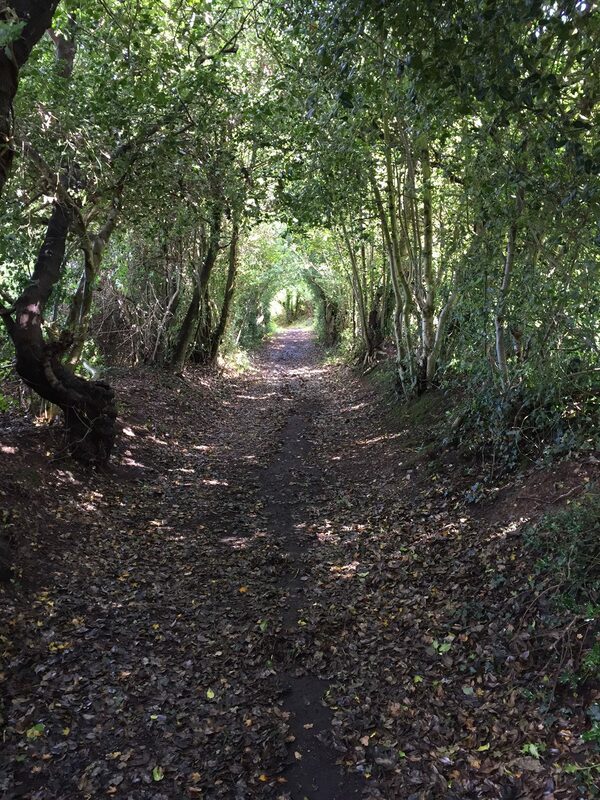 A ‘holloway’ is a sunken lane, usually created over a period of time by water, erosion and traffic. The main characteristics are the steep banks to either side, which may be up to five metres in height, and the trees and hedges that touch overhead, giving the impression of a tunnel. This is a modest example from Essex; those in chalky areas can be much more impressive. A holloway featured in my The Invisible College Trilogy, representing continuity of landscape over time. A beautifully illustrated book on holloways by Robert Macfarlane, Stanley Donwood and Dan Richards is available from Faber.